Fashion Mamas® is the first members-only network for dynamic mothers who work in fashion, art, design, media, and entertainment. 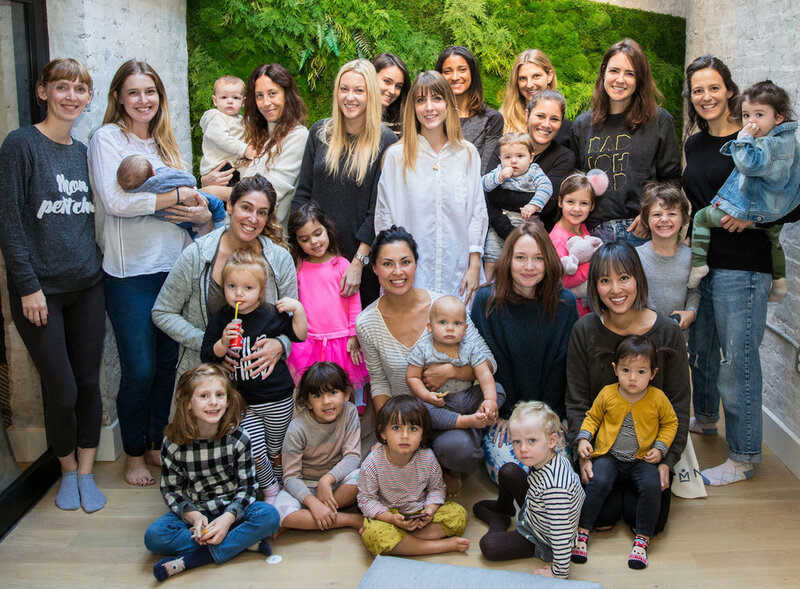 Founded in 2014 by fashion editor Natalie Alcala, this diverse community offers members-only resources and events where modern mothers can network, collaborate, talk business, talk motherhood, and seek non-judgmental support, all while watching their little ones grow together. These trailblazing women choose to create instead of compete, working together to build new businesses and collaborations. Fashion Mamas sets itself apart by specifically catering to women in the aforementioned creative industries, making for more productive networking both digitally and IRL. (Because as mamas ourselves, we know that every minute counts.) Fashion Mamas currently has nearly 600 members worldwide, and our network has a combined social reach of more than 15 million followers. Fashion Mamas was founded in December 2014, when Natalie's son Diego was just three months old. A senior editor at the time, Natalie developed the idea to build an exclusive community of like-minded women who understood the juggle — and struggle! — of being a mother with a demanding career in fashion. 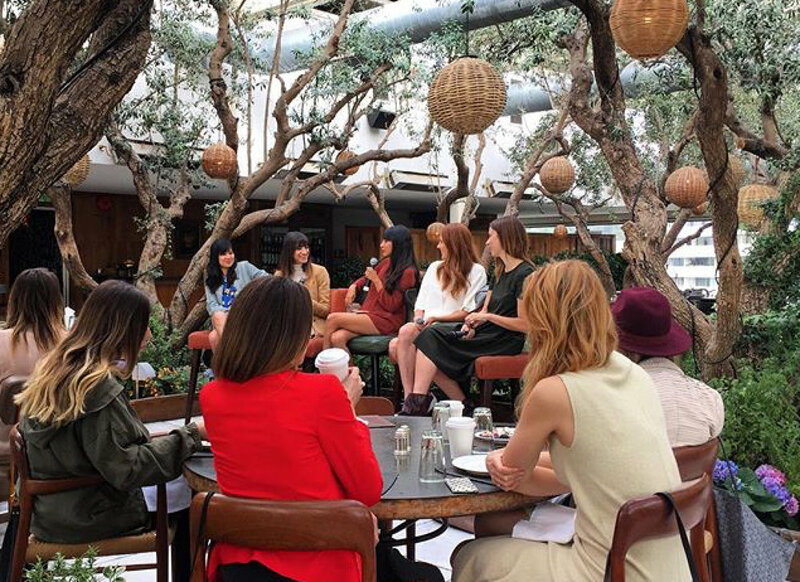 There were so many inspiring, cool moms in her field and other creative professions that she wanted to connect, so she decided to host an intimate brunch for them at The Grove, Los Angeles. 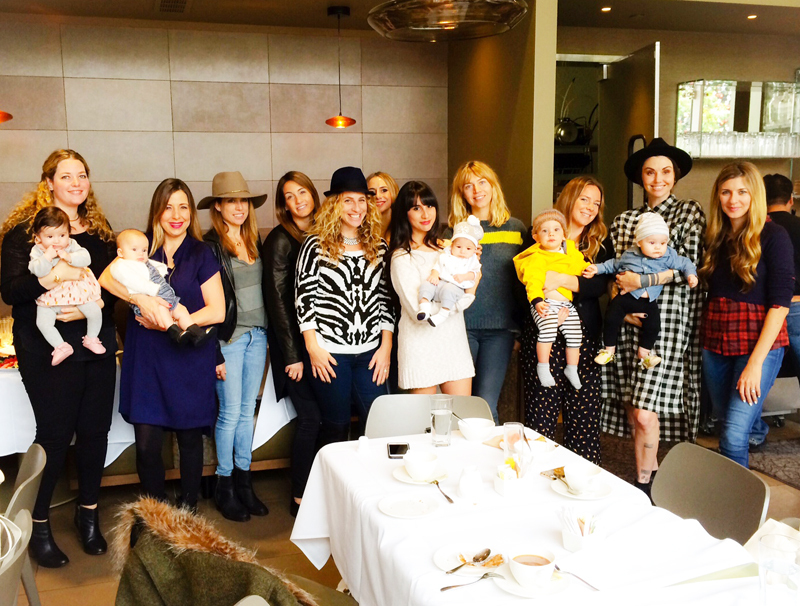 The ten women who attended became her first Fashion Mamas members. Word quickly spread of the first-of-its-kind paid membership program for mothers. Ten members quickly grew to 50, then quickly grew to 100. Today, there are more than 300 members in Fashion Mamas' flagship chapter, Los Angeles, and members range from editors and bloggers to designers and stylists to models and entertainers to artists and makers to creative entrepreneurs and publicists. Here you can ask anyone for a garment rack to borrow for a shoot, and then a babysitter to watch your little one while you're on that shoot — everyone gets it. As interest poured in from other cities, Fashion Mamas officially launched its New York chapter in December 2015. Today, there are more than 80 members on the East Coast. Summer 2016 saw the launch of a San Francisco chapter, and to date there are more than 60 members in the Bay Area. For those who don't live in a Fashion Mamas event city, the FM Global program offers the same member resources and networking opportunities for our worldwide women. Today there are FM Global members across the globe, from Texas to Tokyo. Fashion Mamas launched its first-ever Kids Fashion Fair, a unique marketplace that shines a light on today's coolest independent kids brands. The debut KFF took place at The Grove, Los Angeles, and there have been seven shows since then. Each KFF draws hundreds of stylish families and has been the launch pad for many cult-favorite brands. KFF is going on tour to San Francisco and New York this year! 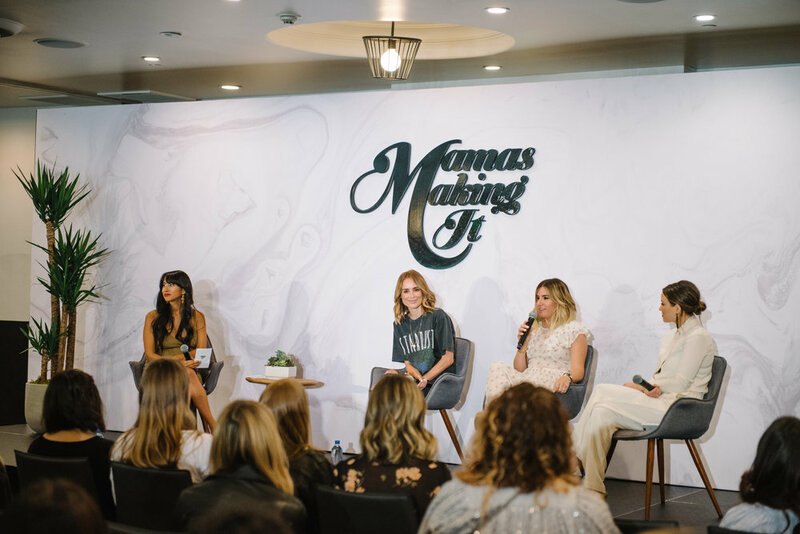 Fashion Mamas coined the hashtag #MamasMakingIt and teamed up with Soho House to host its debut Mamas Making It panel, which provides insight on how inspiring women balance successful careers with motherhood. With Natalie in the moderator's seat, the popular panel's first four speakers were Joy Cho, Mandana Dayani, Samantha Wennerstrom, and Sarah Gibson Tuttle. There have been many panels across LA, NY, and SF since then, and speakers have included Catt Sadler, Chriselle Lim, Rebecca Minkoff, and more members. Fashion Mamas partnered with Lululemon to host the launch party for #FashionMamasFitness, a program that offers FM members a fun and encouraging way to squeeze in a workout while their little ones play in the same room (or nearby with assisted childcare). Activewear partners for our FMF series have included Lululemon, Athleta, Sweaty Betty, and Year of Ours. Fashion Mamas opened its first retail store, the Kids Fashion Fair Pop-Up Shop. The five-day experience took place in a gorgeous 1,900-square-foot space at Platform Culver City and featured tons of indie kids shopping, a play area, a crafting station, and daily events hosted by FM members. #FMKFFPOPUP received hundreds of visitors during its limited run. Fashion Mamas produced its first art show, which was also the Los Angeles debut of seven-year-old Filipina-Mexican American artist Giana. The show was titled "It's A Cool Cool World" and took place at female creative space Jig+Saw in Downtown Los Angeles. Tons of stylish families attended the show, and it received coverage from a variety of lifestyle platforms, including MISSBISH, Hypebae, and DoLA. Fashion Mamas debuted its new destination event series, Mama Mirage. The Palm Springs celebration was named "the first Coachella event formally billed as family-friendly" by BizBash, and offered Fashion Mamas couples the same fun they'd have sans littles, but in a kid-welcoming environment. 45 families traveled to the desert to experience the magic; relive the day by watching our Mama Mirage video here. Fashion Mamas launched its first-ever large-scale conference experience: Mamas Making It Summit. The sold-out event took place at W Hollywood hotel and was attended by 130 entrepreneurial mothers. Speakers included actress, activist, and entrepreneur Jaime King, Australian supermodel and designer Nicole Trunfio, Bachelorette-turned-blogger Ali Fedotowsky. See event photos here. Fashion Mamas launched its fourth chapter in Miami. The community features 30 inspiring women, and the sunny city’s FM brand ambassadors include Fridababy CEO Chelsea Hirschhorn, Eberjey founders Ali Mejia and Mariela Rovito, and blogger Jenny Berger. See photos from the launch party here. Fashion Mamas hosted its 3-year anniversary, and the exclusive party was attended by nearly 200 Fashion Mamas members. The event all featured Fashion Mamas’ largest group photo shoot, ever. See photos from the party here. Fashion Mamas hosted its second Mama Mirage party in Palm Springs. Timed for the same weekend as Coachella Weekend One, the invite-only event featured 50 Fashion Mamas families, and gifting from Cybex, Saje Wellness, Spiritual Gangster, TOMS Shoes, and many more. See photos from the festivities here. Fashion Mamas is always looking for new ways to impact change, and that includes the normalization of cannabis as therapy. In honor of Mother’s Day, we teamed up with Beboe — the "Hermès of Cannabis" — for an exclusive gathering at Reservoir LA that features dining, gifting, pampering, and Beboe treats. See more photos from the event here. Fashion Mamas hosted its second Mamas Making It Summit — a creative conference that celebrates entrepreneurial mothers. Held at The Line Hotel in Los Angeles, the event featured speakers Tamera Mowry, Whitney Port, Alli Webb, Kimberly Snyder, Anine Bing, Chriselle Lim, Geri Hirsch, Caitlin Crosby, and many more inspiring women. See photos here. 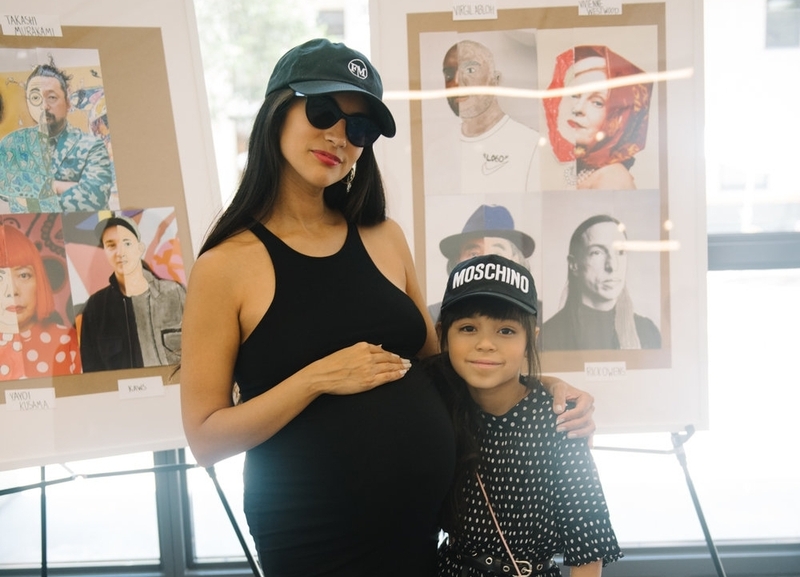 Fashion Mamas hosted a four-day pop-up experience at ROW DTLA, which featured the second Los Angeles show of art phenom, Giana. The 9-year-old talent brought a selection of new works to the event, all showcasing her signature fashion illustrations inspired by magazine ads, portraits, and campaigns. See photos from the show here.